Add the name of the slogan “Service & Innovation” is challenging and indicative of a clear choice, that communicates the set of products and services that P.R.T. provides. It means to have a great ability listening to customer needs and translate them into efficient and reliable systems. P.R.T. Service & Innovation is born and grew from the experience of the historical society P.R.T. in the field of plastics processing. Within the corporate structure are the two founding partners: Fabio Bagnolati and Gianni Garutti, leading experts of the recycling of polymers, with over thirty years of professional life in this trade. P.R.T. is known and operates globally, leveraging a commercial network managed directly from its headquarters and through informants and foreign agents, looking in all markets, without any commercial areas more vibrant than others. 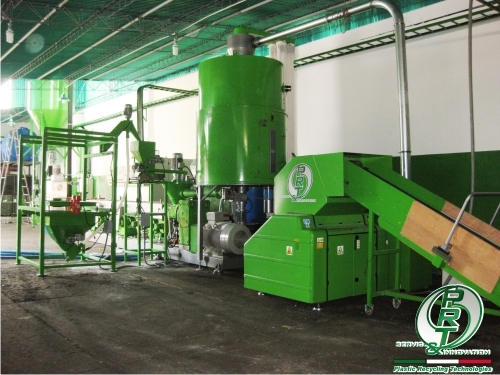 The plants for plastics recycling are extremely complex technological structures, which require a thorough knowledge of the polymers and their behavior. The range of P.R.T. Service & Innovation, articulated and completed, is able to satisfy the most restrictive of the users. The product portfolio of P.R.T. Service & Innovation is primarily distinguished into two main groups: the complete plants and single machines. 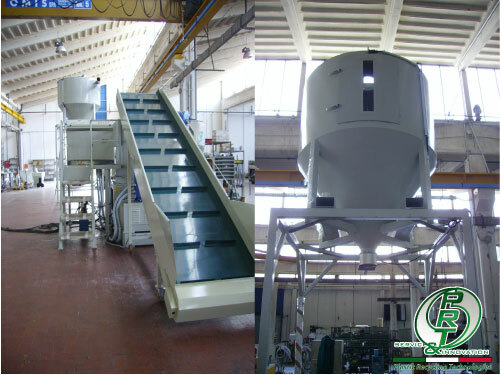 Starting from the design and implementation of single machines, which in the world of recycling are very numerous, it is possible to get to the composition of the plants, that are further subdivided based on the work performed: washing plants, pelletizing plants and agglomeration plants. The washing plants of P.R.T. 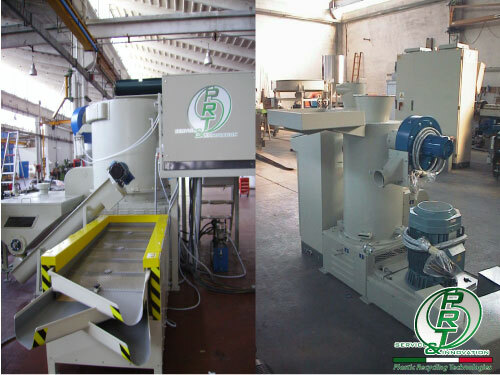 reach capacities of 2000 kg/h and are divided according to the materials to be treated: film, rigid and mixed plastics, since customers often ask a plant that can process different types, with capacities up to 2000 kg/h and steps of 250, 500, 1000, 1500 kg/h. Also in this case, the design plays an important role, since there is no standard systems, P.R.T. 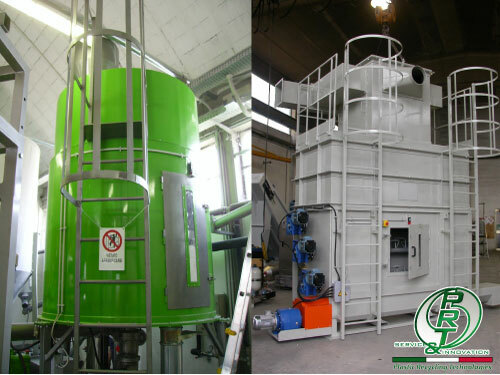 debug a specific configuration based on customer needs, starting from the section of the grinding and reduction of the volumes (conferred in various forms), continuing with the step of washing and separation of the polymeric materials by pollutants, then coming to drying and storage. 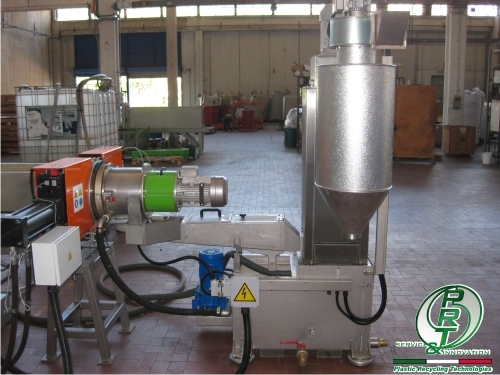 The pelletizing systems can be plants for the regeneration of wastes of industrial process, or, installed after a washing section, complete a whole recycling plant. Also in this case, the configurations are never standard. 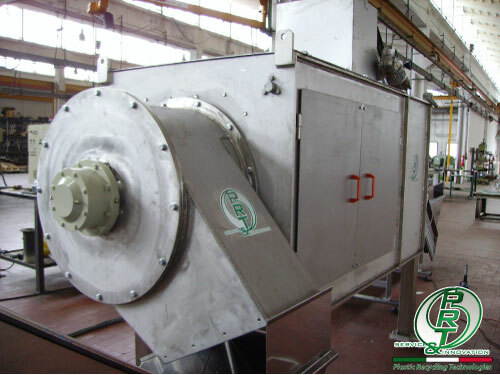 Based on the materials to be treated and their technical specifications, the system consists of several equipment: feeders, extruders, filters, frontal granulating systems and storage-packing systems for the granules. 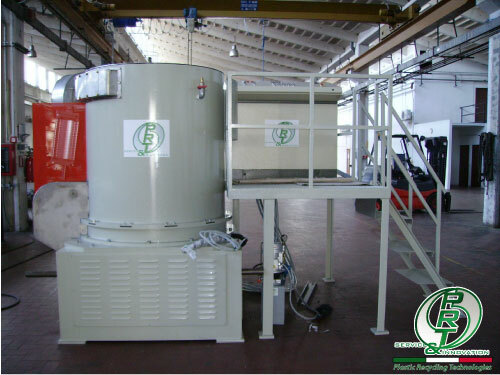 The extruders depart from diameters of 30 mm, to continue with sizes of 50, 55, 65, 85, 105, 125, 160, 200 mm and are equipped with screws (heart of the system) characterized by special profiles, specially designed in different sections that compose them. 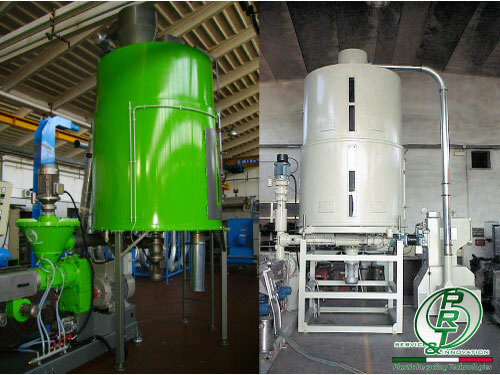 It can be made the installation of degassing system, absent, single, double or special. 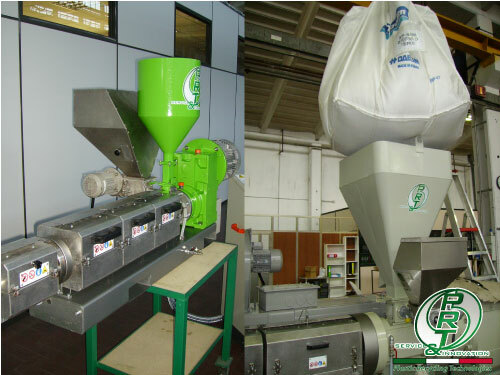 The pelletizing facilities are often used not only to regenerate plastic, but also to produce compound, adding additives. With the single-screw branded P.R.T. 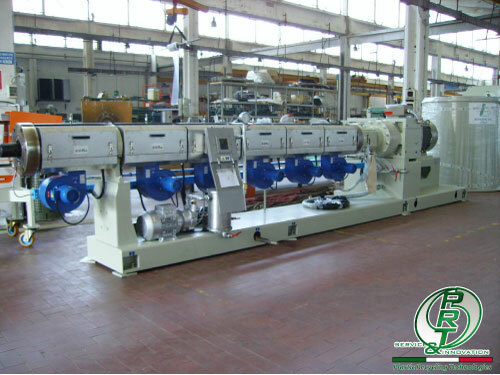 was possible to mix polypropylene with 50% of calcium carbonate: a process that, usually, is performed with twin screw extruders. 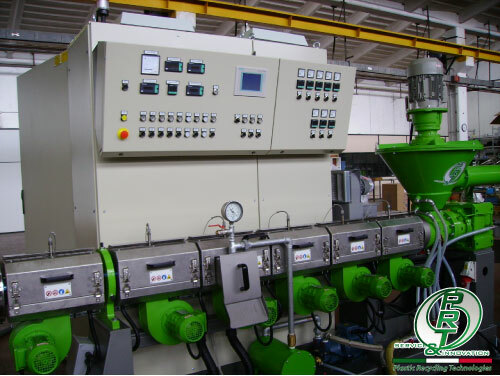 In fact, a single screw extruder, equipped with a screw properly designed, is able to obtain a process absolutely reliable, ensuring, as a result, a quality material to be used, in this case, for the production of finished products with injection molding. 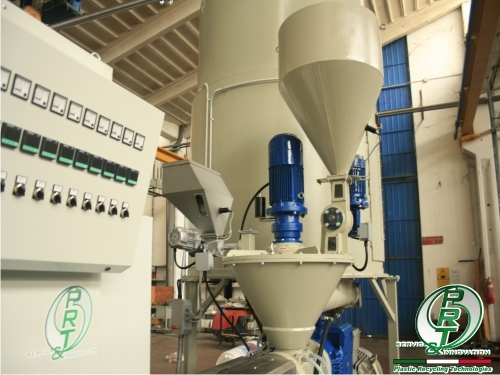 The feeding systems coupled to the extruders, designed by P.R.T., depart from the traditional hoppers or with rotary valve, up to the vertical or conical single forced screws. These latter can be installed individually, or combined with a storage silo with extraction screw and characterized by conical or cylindrical pressing screw-type. The structure is then equipped with dosing units for masterbatches and additives. As regards the frontal granulation, this may be effected with air or water. In addition to the realization of complete systems, P.R.T. provides part of the equipment listed above, for washing and for the re-granulation, to several manufacturers of world renown. 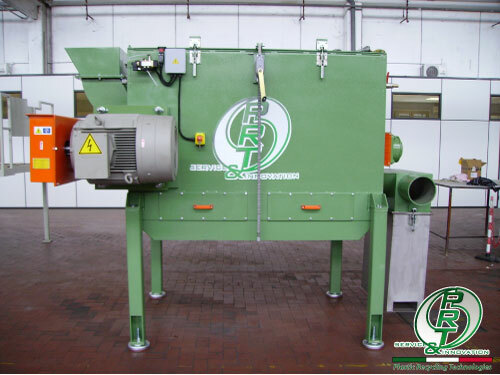 The agglomeration process was, until about twenty years ago, one of the principal methods used for the recycling of polyolefin films; it was an extremely interesting for reuse internal scrap generated by the producers of film. This is not a technology abandoned. 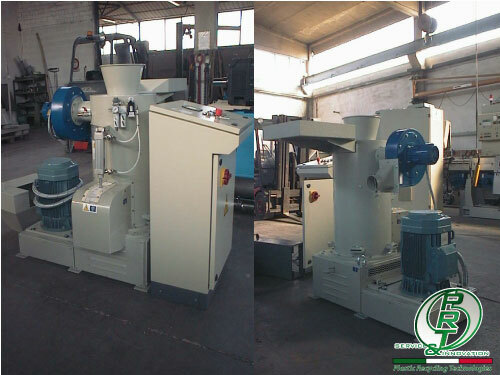 The range of agglomerators was then preserved because some customers continue to look for this type of machines, and because there are recyclers who use only this technology. Energy saving is a central element in the design of a system of re-granulation. For technical choice, P.R.T. 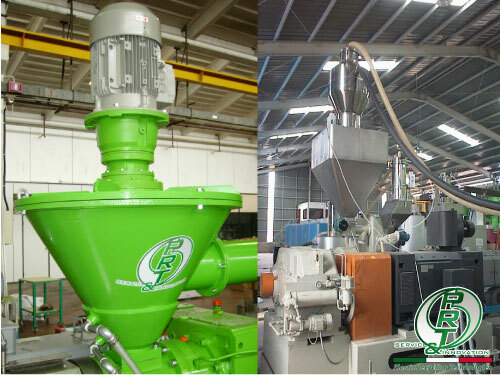 does not install the combination agglomerator + extruder, but the grinder + extruder. 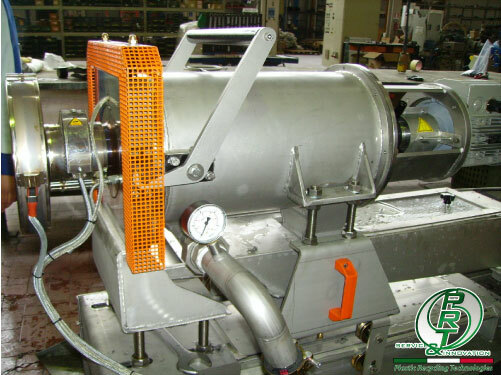 The first solution, in fact, entails a high energy consumption (two machines belong to the same work at the same time) in addition to a series of problems related to the maintenance, with the agglomeration, in fact, in case of machine stop, it is necessary to stop the entire production line. 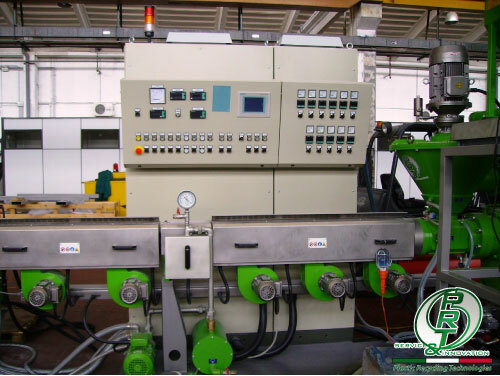 In the case of combined with a separate grinding, however, the two sections of grinding and extrusion can work independently, ensuring continuous alternating process. 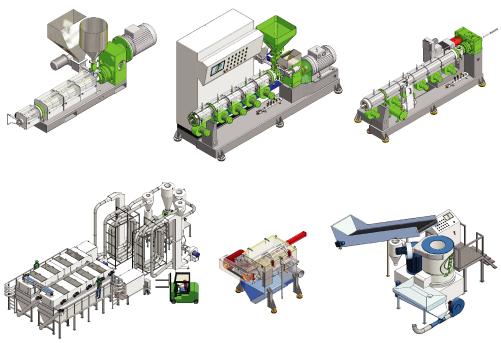 The new generation machines, finally, were equipped with SSR temperature control systems, driven by computing systems created “ad hoc”, saving about 20% of the energy normally used in extrusion. The latter are characterized by the installation of an innovative touch screen control panel, managed by a special monitoring software, specifically designed for the extrusion, which allows to have a report of continuous production and of all the parameters associated with it, over a remote connection, which allows to access the machine from any part of the world. The collaboration with the University of Ferrara, which lasts for several years, is an element that qualifies the concept of “Innovation” contained in the slogan of P.R.T., with the creation of new ideas and projects. P.R.T. Service & Innovation offers to its customers a range of services, starting from the design and manufacture of special equipment, “sewn” around the needs of the customer. All the components, that form single machines, are internally designed through 3D modeling software, to then be made from selected suppliers, fitted with the best technology. Technical assistance to the customers allows to expand the company’s business, thanks to the “historic” fleet installed in the world, attending for the maintenance and retrieval of the plants. P.R.T. follows all stages from the design to installation installation of the systems. The customer is taken “in hand” and is followed even after the purchase. This also applies to the lines not of construction by P.R.T. and in cases in which the assistance is not guaranteed by the suppliers. Support for access to public financing is a very important fact today. Many customers find on European founding a valuable support for their investments. P.R.T. is able to work with the customer, providing all the tools necessary to extricate through the various bureaucratic requirements. P.R.T. provides all the technical characteristics to define the civil works (masonry, electrical and plumbing systems) required for installation of the production lines. The testing is carried out before delivery. After the test, the system is delivered, installed and put into operation. With this new application it is possible to connect to the remote machine for controlling and driving it, following the customer during start-up and maintenance, setting the operating parameters.